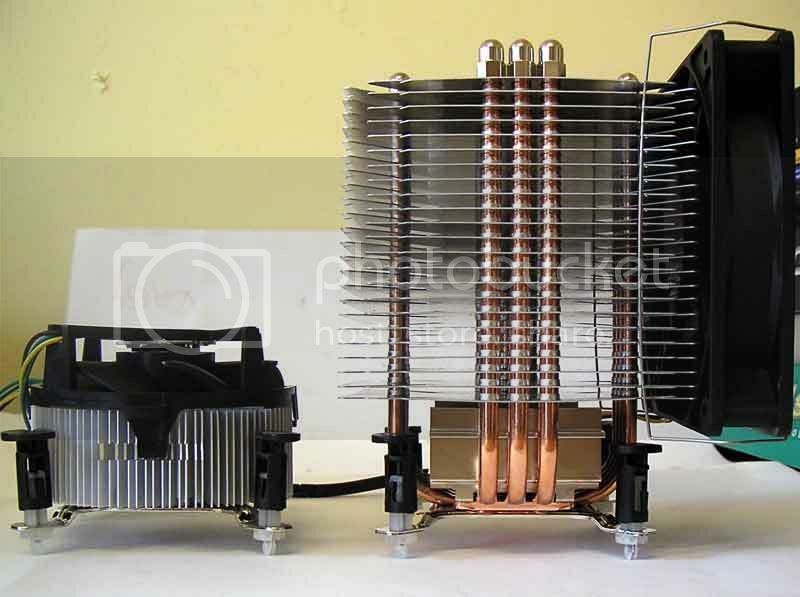 In such cases where high power components has to be cooled within a limited space copper heat sinks are considered as a substitute to Aluminum ones. The change is justified when the footprint area of the component is substantially smaller than that of the foot print area of the heat sink base. This change is associated with an increased cost of a factor of 2 as copper can not be extruded or easily stamped. Weight is increased by a factor of 3 and thermal resistance is reduced by a factor much smaller than 2. Alpha corp. from Japan is manufacturing a hybrid heat sink with a copper plate metalurgically embedded in the aluminum base, thus improving the heat spreading in the base and the fins temperature near the edges, while the fins and the upper section of the base attached thereto are made from aluminum. Example of such improvement in performance (reduction of thermal resistance) can be noticed when comparing geometrically identical heat sinks one with aluminum base and the other with partially aluminum base with embedded copper therein as in the following links. Coolinnovations corp. from Canada supplies whole copper heat sinks which are limited in footprint dimensions. Similar comparison between copper and aluminum can be made in coolinnovations web-site. www.coolinnovations.com. Very informative blog! Keep it updated. thanks a lot to blogger.